This year, millions of visitors will flock to Yellowstone, Yosemite, and other gems of the National Park System, encountering breathtaking views, majestic wildlife, and quite possibly viruses. National Park Service officials announced that "greater than normal reports of gastrointestinal illness" occurred among visitors and employees in Yellowstone and Grand Teton national parks. This month alone, up to 150 employees could be infected and 50 tourists have reported to park clinics with complaints. Some of these cases have been confirmed to be norovirus, a nasty gastrointestinal virus characterized by abdominal pain, forceful vomiting, and watery diarrhea. Norovirus, also known as Norwalk virus, is spread by fecally contaminated food or water, touching contaminated surfaces, and close contact with an infected person. Considering the highly infectious nature of the virus, park healthcare workers are treating all visitors reporting these symptoms as cases of norovirus. 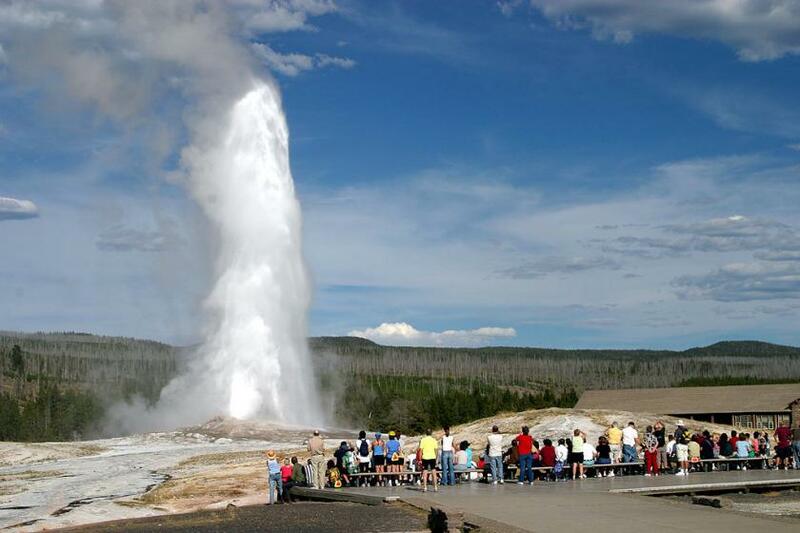 The outbreak began on June 7, when tourists visiting Mammoth Hot Springs on the Montana-Wyoming border began to experience severe abdominal pain and other symptoms. Park employees complained of the same symptoms shortly thereafter. Although coming down with Norovirus is a miserable, painful experience, it is rarely fatal. "Unfortunately there is no treatment for it besides pulling through it and preventing dehydration," said Michael Takagi, physician's assistant at Grand Teton Medical Clinic at Jackson Lake Lodge. Last year, eight tourists visiting Yosemite National Park contracted hantavirus pulmonary syndrome, and three eventually died. Hantavirus pulmonary syndrome is a potentially serious disease transmitted through exposure to the urine, saliva, blood, or droppings of infected deer mice. The outbreak centered around a particular set of lodging presumed to be contaminated with disease-carrying rodents. However, a significant percentage of deer mice, about 12 percent, could be carrying the virus. Although your standards of cleanliness ought to relax a bit while camping, roughing it in the great outdoors is no excuse to let your hygiene go south. With Yosemite and Yellowstone attracting about four million and three million tourists respectively each year, the potential for disease transmission is high. Follow these precautions to minimize the risk of infection while visiting parks this summer. Wash your hands. The most effective way to prevent infection is always washing your hands, particularly before eating, after using the bathroom, or relieving yourself in the woods. Although hand sanitizer could be used in a pinch, it doesn't do much for removing the dirt in which germs fester. Even if your hands aren't visibly soiled, they are sure to collect dust from being outside. When you're far from running water, try using alcohol wipes or even cotton balls soaked in rubbing alcohol to remove the grime. Wash the rest of your body. At the end of a long day outdoors, shower or bathe with soap and water to rinse off all the dirt. In the absence of a shower, try using a portable solar shower, which is essentially a heavy duty bag you can fill with water and hoist up in the air. You can also try using a large volume polyethylene jug with a spigot to rinse off. If you're lucky enough to have a cool stream or river nearby, use biodegradeable soap to be environmentally friendly, and make sure you're far from other campers. Clean out your clothes. All your efforts to keep your body clean are ineffective if your clothing remains saturated in the same microorganism-laden dirt. Place clothes in a large pot or bucket filled with soap and water. Again, use biodegradeable laundry detergent when possible. Start scrubbing clothes against each other to loosen the dirt. Wring out the clothes of the dirty water and rinse them out by scrubbing again with clean water. Reserve a set of clothes for sleeping. Protect your food and purify your water. Keep food in tightly-sealed, rodent-proof containers to keep out disease-carrying pests. Many water taps in national parks are designated as either safe or not-safe for drinking, but if you're unsure, it's best to treat your water. Remove pathogens from your drinking water by using either a portable ultraviolet water purifier or good old iodine tablets. Know how to go to the bathroom where there are none. While relieving yourself, make sure you're at least 200 feet uphill and away from any source of water to avoid contamination. Dig a hole, bury waste products deep, and cover up the mound with a rock in order to ward off animals. Use biodegradeable toilet paper when possible, or for the very adventurous, use a leaf. Be aware of the symptoms of illness. Familiarize yourself with your surroundings and know how to get to the nearest clinic for help. Early symptoms of hantavirus pulmonary syndrome include fever, fatigue, chills, and muscle aches, and typically begin one to seven weeks after exposure. Norovirus begins with abdominal pain a day or two after exposure, and progresses quickly to vomiting and diarrhea. If you're infected with norovirus, stay away from people as much as possible.